Feb 9, 2016 :: Caprice Young thought the worst was behind her, that her group's charter schools would be free to grow after straightening out the poor financial record-keeping that prompted a recent state audit. The school district still found fault with her organization's petitions to open new campuses. District officials told her to expect rejection. Young's group, Magnolia Public Schools, eventually abandoned the effort. Her experience is becoming more common as the Los Angeles Unified School District's administrators and board of education become increasingly resistant to greenlighting new charter schools. Charter supporters say the district is unfairly scrutinizing their independently run campuses because it sees them as a threat. At Tuesday's board meeting, members are poised to reject two new charters — this in addition to the three charter petitions that Young withdrew from consideration. Since July 1, L.A. Unified has denied six petitions and approved five others, according to figures from the California Charter Schools Assn. That's less than a 50% approval rate. Two years ago it was 89% and last year it was 77%, according to the association. "We are concerned that this district is looking for reasons to prevent new charter schools from opening, even those proposed by the most respected, successful charter operators. Issues that in the past were seen as minor or correctable are now elevated to significant issues that somehow warrant denial." "Given the measurable drop in approvals for new petitions, the inconsistent and non-transparent review processes, and the backroom pressure to abandon our efforts to grow, we all feel it is appropriate to bring these concerns into the light of day." The school district has not analyzed its approval rate, said Jose Cole-Gutierrez, head of the charter-school division, and he denied any wrongdoing or change in policy. "The process has remained the same, and the findings are there for the board and the public to review," he said. "Our office continues to be focused on quality for students and putting students first." Charters' rapid growth — to about 101,000 students in L.A. — is responsible for about half of a precipitous drop in district enrollment and the funding that comes with it. Charter operators said that families who want to take advantage of charters should not be thwarted. The charter association also points to regulations indicating that charters can't be blocked because of harm to the district budget. The issue with Magnolia included problems with signatures on the petition and under-enrollment at some of its 11 campuses, Cole-Gutierriez said. It also may be noteworthy that Magnolia is the subject of a long-running review by the district's inspector general. No allegations of significant wrongdoing have emerged. For Young, the justifications sound more like excuses. "Despite bending over backward to answer all of their questions, they were going to turn down our charters," said Young, who signed the letter. Another charter group facing a thumbs down for new petitions Tuesday is Partnerships to Uplift Communities. It was co-founded by recently elected school board member Ref Rodriguez, who is expected to recuse himself from issues involving his former schools. Partnerships to Uplift Communities' petitions have sailed through in the past, but its handling of food contracts has been under district investigation. "It appears that the emerging new policy may be that you get no new charters if your existing charters have any problems," said one district insider who was not authorized to speak on the record. Another charter group, Ingenium Schools, is being threatened with revocation of its authority to operate three of its campuses, based on construction work that allegedly posed a safety risk to students. CAVEAT/ LA Times Editor's note: Education Matters receives funding from a number of foundations, including one mentioned in this article. The California Community Foundation and United Way of Greater Los Angeles administer grants from the Baxter Family Foundation, the Broad Foundation, the California Endowment and the Wasserman Foundation. Under terms of the grants, The Times retains complete control over editorial content. February 09, 06:53 PM :: Tuesday’s Los Angeles Unified school board meeting was like most others: a batch of charter school applications were up for renewal and approval. But on this day, charter school advocates said, L.A. Unified’s administrators had shifted previous support for the independent campuses and are now giving undue scrutiny to several petitions. “We are seeing an unprecedented uptick in the recommendation of denials of charter schools,” said Sarah Angel, the managing director of advocacy for the California Charter Schools Association. She said the school board approved 89 percent of the charter school petitions it received in 2013, while this year, that rate has been cut in half. Angel argues that the shift came last year after a plan to double the number of charter schools in L.A. became public. Tuesday’s school board agenda included seven charter school petitions. Staff recommended three of them be denied. The denial recommendations included concerns about academics and financial resources. Angel said the best example of a charter petition L.A. Unified got wrong is the renewal of the 10-year-old Excel Charter Academy. In documents submitted to the L.A. Unified school board staff criticized Excel’s academic performance in recent years, citing large decreases in academic performance among most students. API scores for Latino students fell by 75 points in 2013. Trujillo is also a math teacher at the school. Like many schools, Trujillo said, the shift to more critical thinking learning standards contributed to the drop. The school, he said, is trying to help students overcome the challenges of home. “We work in a community that’s one of the lowest income communities around,” Trujillo said. Excel won renewal of its charter for five years after a 3-3 vote by school board members. Denial of the charter renewal required four votes, according to school board rules. Alex Caputo-Pearl, the president of L.A. Unified’s teachers union, says the charter school approval process has been too lax in recent years. He urged the school board to be more selective. “California has one of the most lax, generous structures of law for charter schools so it’s hardly that there is a microscope on charter schools," he said. 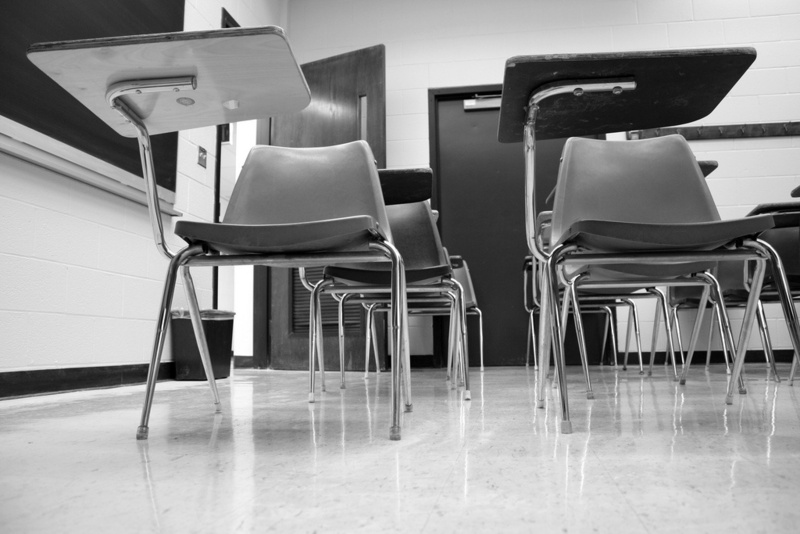 "There hasn’t been enough regulation on charter schools."